Promotional value expires 120 days after purchase. Amount paid never expires. Limit 1 per person, may buy 1 additional as gift(s). Not valid with other offers. Not valid for customers who have purchased intro month or 2 week trial. Valid only for option purchased. All goods or services must be used by the same person. Merchant is solely responsible to purchasers for the care and quality of the advertised goods and services. 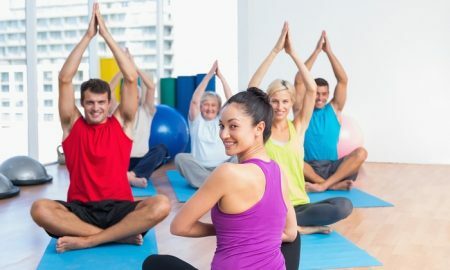 Orijin Yoga provides a nourishing environment for people to explore and connect deeper with themselves and the community. With two beautiful heated yoga rooms and amenities like spacious showers and large changing rooms, it is a great place to burn off a stressful work day. The instructors have developed a solid rapport with their classes and welcome new members to share the experience.